Pippy Houldsworth Gallery is pleased to announce the first UK solo exhibition by young US artist Luke Diiorio, featuring a new installation of folded paintings. Drawing on the formal vernacular of Minimalist painting, Diiorio’s works are made from linen and raw canvas through a meticulous process of painting, stitching and folding. This show furthers the artist’s ongoing interest into the role and limitations of form and material to generate meaning. 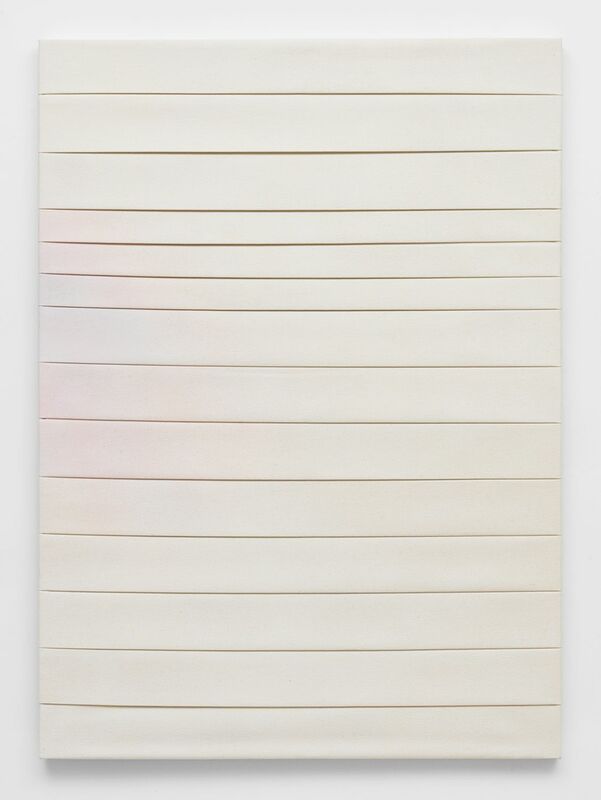 The upcoming show coincides with an exhibition at Tate Modern, London by American abstract painter Agnes Martin whom Diiorio cites as a key influence. Critical reflections on the oeuvre of artists Fred Sandback, Richard Tuttle and Lee Bontecou have also played a key role in shaping Diiorio’s practice. Luke Diiorio (b.1983) lives and works in New York and received his MA from the Royal College of Art, London in 2013. Recent exhibitions include those at Anat Ebgi, Los Angeles and Kinman Gallery, London. 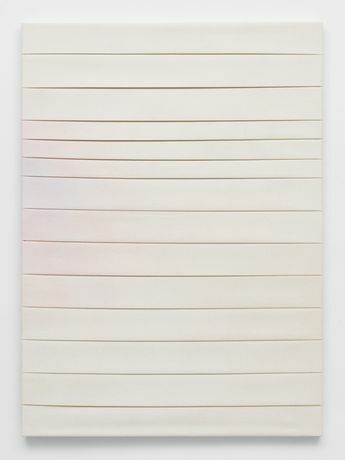 Diiorio has a forthcoming group show at Super Dakota, Brussels. For further information or images please contact Jonathan Horrocks on jonathan@houldsworth.co.uk or on +44 (0)20 7734 7760.